are mixed. I’m rather satisfied with a yield of about 5.7% and no payment delays up to now. The payout takes place promptly after the scheduled payment at the 15th of each month. The bidding amounts are straightforwardly drawn through direct debit, however, the period between bidding and drawdown drag on very long from time to time (debiting is just before the first paying out, though). Now and then there are special promotions which increase the yield (see below). So far, so positive. The handling on the website concerning the management of the contracts should be improved a lot and the web fronted is full of mistakes. Retracing of individual debit entries is impossible without great effort and the shown entries aren’t always correct (As far as I’ve checked, the actual entries are correct though). The marketplace has promised to fix those issues, but for months they didn’t even fix the simplest mistakes such as broken links. All of that doesn’t seem very professional. I have fulfilled my provisional investment objective and won’t increase it for now. Meanwhile, about 20% of the investment sum were paid back. There were neither losses nor early repayments. Should it become possible to invest more without having [to open] a premium account I will seriously consider it. 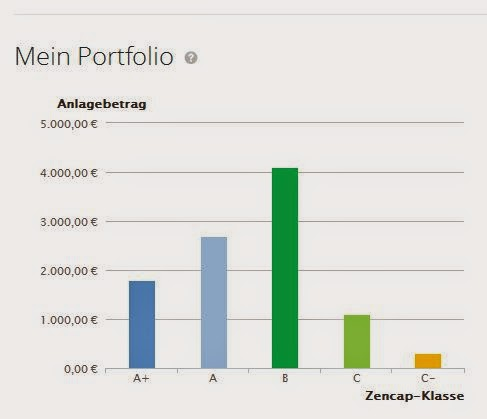 Hitherto only one projects seems to have failed – a good result for a total loan volume of over 13 million EUR. Hence the credit approval seems to work pretty well – it is more efficient to carry out for higher sums than for 50 x 1000 EUR consumer credits. Right now I can recommend this service. The yield is not especially high, but neither is the risk.